The ETSI Fellowship programme rewards individuals who have made an outstanding personal contribution to ETSI and raised its reputation in specific areas of standardization. 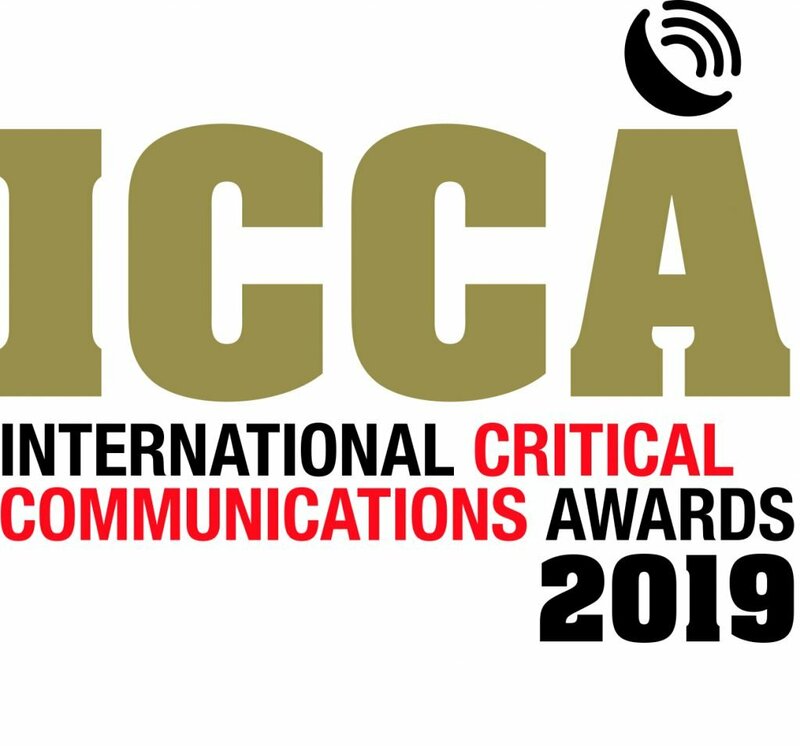 Dave’s work, expertise and commitment are some of the reasons that today’s TETRA and 3GPP standards can be termed mission critical communications. Dave has been a key member of the TETRA standards community since 1994, when he joined what was then ETSI RES6 WG6, who designed the TETRA security standards. He is currently Vice chairman of ETSI TC TCCE, Chairman of TCCE-WG4, and Vice Chair of 3GPP SA6, TCCE and TCCE-WG6. Within TCCA, Dave was a founder member of the SFPG in 1999, and has authored a significant proportion of the SFPG Recommendations. With a career spanning more than 35 years mission critical communications, Dave has tirelessly supported the development of ETSI standards and needs of the industry in ETSI, in TCCA, in CEPT, in 3GPP and in other industry fora, and is a highly respected member of the critical communications community globally. He is probably the person who has done the most to evolve the standards from TETRA into critical communications over broadband. Although initially the TETRA community explored the concept of a ‘TETRA 3′ broadband standard, Dave was one of the key proponents of the decision to adopt 3GPP LTE as the way forward to build on the massive investment in that technology. Dave then led a technical approach to supporting the case for spectrum for broadband mission critical communications in Europe by working with user groups in the European Council Law Enforcement Working Party (LEWP) to determine the likely applications for broadband and user concentrations. This led to a scientifically derived calculation for spectrum needs, which was incorporated in CEPT Report 199 as well as an update to ETSI TR 102 628. Dave chaired the joint ETSI-OMA meetings, which were the forerunner to the movement of the standardisation work into 3GPP. During these meetings, the combined group established an architectural model for a mission critical PTT solution. When it was decided that a 3GPP approach would be adopted instead of a three SDO standards model, Dave helped fight for appropriate terms of reference for the new 3GPP group SA6 which was instigated to develop Mission Critical standards in 3GPP. In SA6, Dave has made significant contributions to development of the Mission Critical set of standards now known as MCX, and is rapporteur (and major contributor) for the Interconnection and Migration standards work. Meanwhile in WG4, Dave is leading the effort to develop the TETRA side of Interworking with the standards developed in 3GPP so that the TETRA standards are ready in time for the user communities’ needs for interoperation between existing TETRA systems and users operating on 3GPP systems. 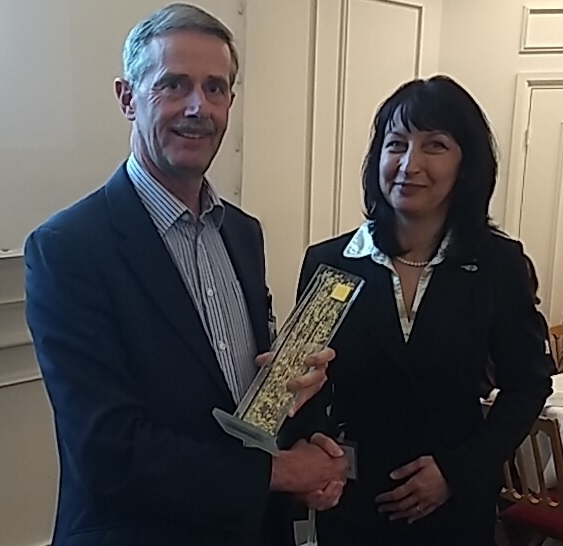 Pictured: Neviana Nikoloski, ETSI General Assembly (GA) Chair, presents Dave Chater-Lea with the ETSI Fellowship Award at the GA #73 meeting in Sophia Antipolis.